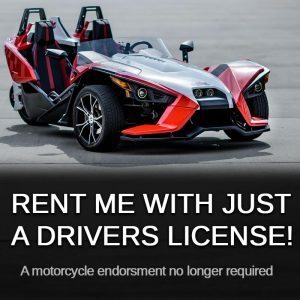 New Jersey has now reclassified the Polaris Slingshot as an autocycle and you can now drive one with just your regular drivers license. No more motorcycle endorsment needed! RENT TODAY!